Caraz is located in the department of Ancash, north of Lima and offers its visitors magnificent snowy landscapes and archaeological monuments. It is a beautiful place surrounded by mountain ranges with a temperate and sunny climate almost all year round. If you do not have travel plans, what do you expect to pack your bags? Caraz is located 10 and a half hours from the capital. You can find bus tickets from Lima to Caraz. If you are already in Ancash, it only takes an hour to travel the road from Caraz to Huaraz. Its climate is pleasant during the day and at night it can lower the temperature a little, so take the necessary coat. In your visit you can not miss the delicious desserts that this city offers, like the manjarblanco and cuarteado, cakes, pastries and ice cream. In addition, they also highlight their picante de cuy, llunca de gallina, charqui and chicharrones. 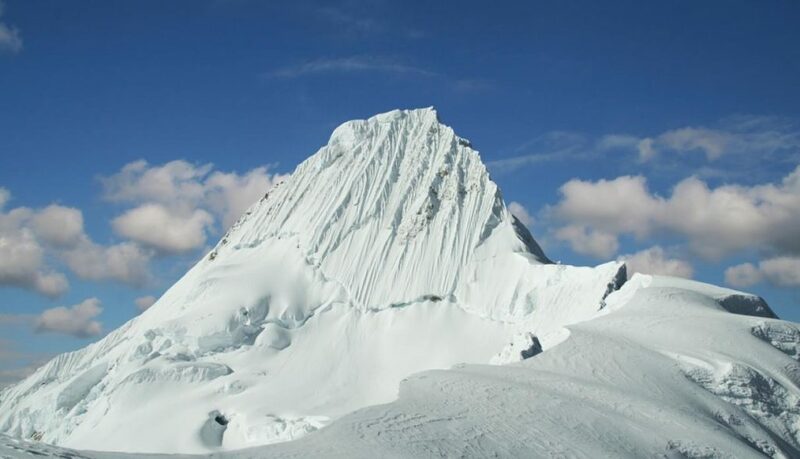 The snowy (5,947 masl), located in the province of Huaylas, in the Cordillera Blanca, was described as the most beautiful Nevado in the world. The access is from the city of Caraz (2 250 masl), 67 Kms from Huaraz. It is a very visited and climbed mountain, it has a wall of 450 meters and an inclination of 65 °. Located 32 Kms from Caraz, about 4,200 meters above sea level. It is the largest lagoon in the Cordillera Blanca, its dimensions are 3,500 m and 700 m in its widest part, its volume is 55 million cubic meters. 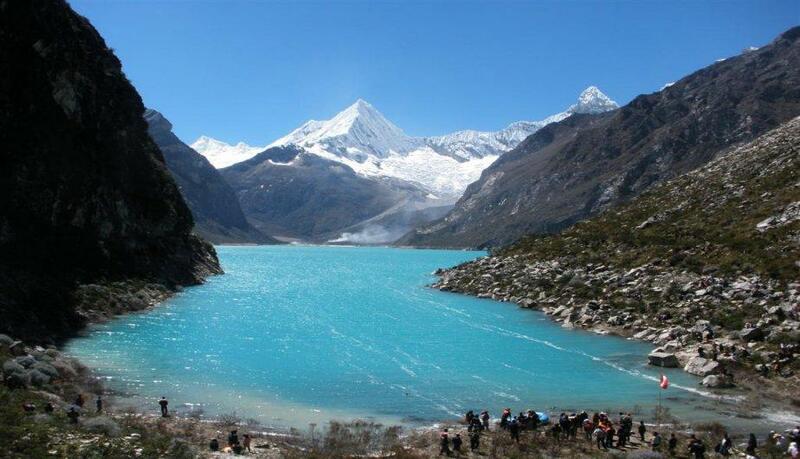 Its waters show a beautiful sky blue color, from here you have a wide view of several snowy peaks: Artesonraju, Pisco, Huandoy north, and Chacraraju, Garcilazo pyramid, and Paria. 22 Kms north of Caraz, and is formed by the erosion of the Santa River. It is an impressive geographical feature where the granite rocks of the Cordilleras Blanca and Negra approach less than 15 meters away. It is a favorable place for cycling lovers. Taking advantage of this geographical accident, the Central Hydroelectric Plant of the Pato Canyon “Santiago Antúnez de Mayolo” has been built, one of the sources of electricity generation in the country. 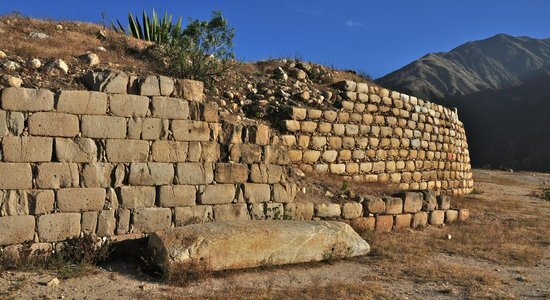 Tumshukaico is located two kilometers from the city of Caraz, pre-ceramic ceremonial center is an archaeological site built of stone and clay mortar, with curved corners in a staggered way. It has interior enclosures, and staircase that leads to the top. 32 Kms from the city of Caraz, between 3,900 and 4,150 meters above sea level, between the districts of Pueblo Libre and Pamparomás, in the place called Winchus (due to the large number of hummingbirds, whose name in Quechua is winchus), populated by more than 5000 specimens, you can also see cactus plants, ichu, Andean fox, pigeons, etc.